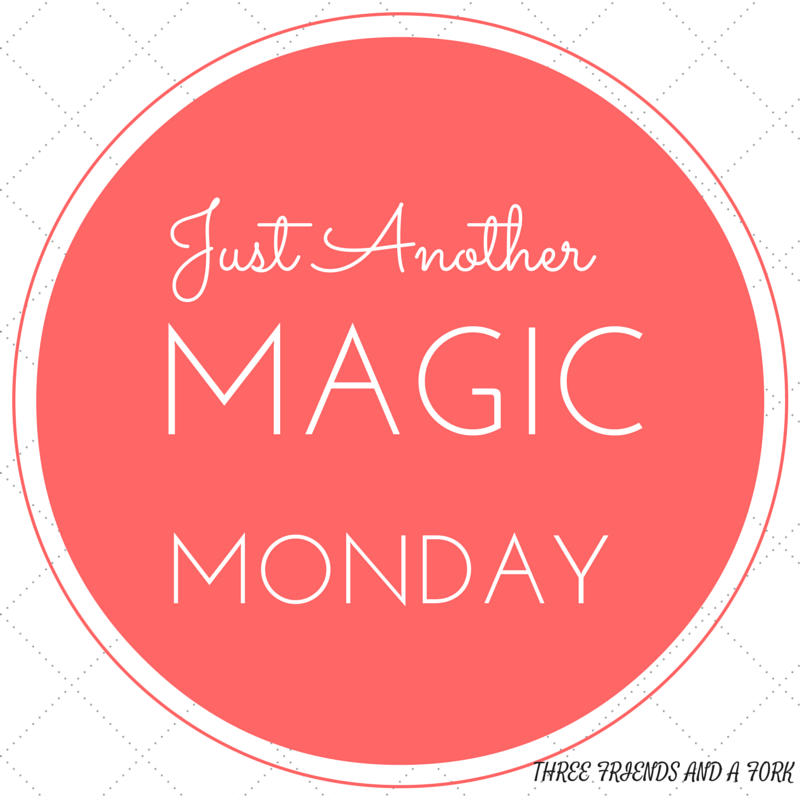 Introducing Just Another Magic Monday: Olive You So! I am always on the lookout for new products, tasty ingredients or things that make life easier or better in some way. My friends are the best about updating me about products that they love and I love trying the products they recommend. Most of the time I love the products recommended by friends. Every now and then you get that one friend who likes something like pickled eggs and I just cannot go there...Sorry, Kelli! I am really just kidding, well, not about the pickled eggs part, but Kelli does have some other great product suggestions that I would recommend. I'm thinking there are lots of people like me, who love that personal touch in a product review, not from someone who regularly dines with Tibetan monks in Nepal, but someone just like them, who runs to the Piggly Wiggly on a regular basis. Not from someone who eats uni (sea urchin) for an afternoon snack, but someone who actually likes that green bean casserole made with (whisper) canned cream of mushroom soup. Ok, I may have just lost a ton of readers, but I am guessing those folks probably weren't going to hang around here very long anyway. 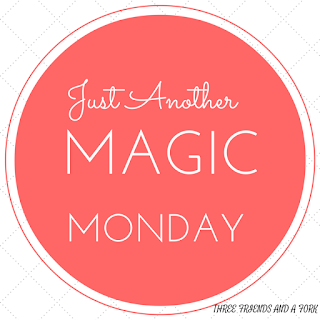 Anyway, I have decided to highlight products that I have found and love, or products that have been recommended to me by my friends, in a recurring post called Just Another Magic Monday. Here you will find tasty ingredients, great products, and super duper finds, personally recommended by Three Friends and a Fork or one of our discriminating friends. The first Magic Monday honoree is Galli Italian Olive Hot Pepper Salad. I have been using this product for the better part of thirty years. We first came across it when we visited Callaway Gardens in Pine Mountain, Georgia. There is a little country store located on Highway 27 just outside the gardens, called, appropriately enough, The Country Store. We decided to check out the store one day after we had visited the gardens and happened to find a jar of this spicy olive salad. I am not quite sure why I first picked up the jar, because I have never been a huge fan of olives. I like olive oil, but the texture of olives has never been my favorite. As a child I wouldn't touch anything that had touched an olive. I have gotten over that, as long as the olives are finely chopped and not too abundant. Oddly enough, I do like a muffaletta sandwich, so maybe that is why I bought my first jar these peppery olives. Whatever the reason, I am so glad I did! I can't really tell where Galli Gourmet Foods is headquartered. I think they are located in Destin, Florida, but I notice there is also an Atlanta address. The online store of Galli Foods has a huge array of tasty sounding products and now that I am thinking about it, I need to get busy trying some of the other products. They have several fruit flavored balsamic vinegars which sound delicious. As far as the hot pepper and olive salad is concerned, we use it on everything! No, seriously! We put it on tuna salad sandwiches, on top of bruschetta spread with hummus, in potato salad, on pimento cheese...the possibilities are endless. Now we order our hot olive salad by the case, because we are so afraid we might run out. If you are bustin' down highway 27 near Pine Mountain, Georgia, wheel in to the parking lot of the Country Store and see if they still carry Galli Gourmet's Italian Olive Hot Pepper Salad. If they do, scoop up a jar or two. If not, get on line and order yours directly from Galli Gourmet. You can thank me later. 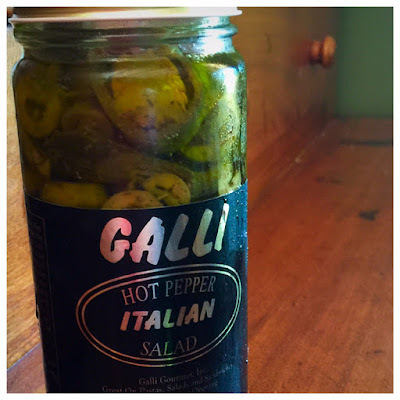 Three Friends and a Fork gives Galli Italian Olive Hot Pepper Salad 3 Hot and Spicy Yums UP!